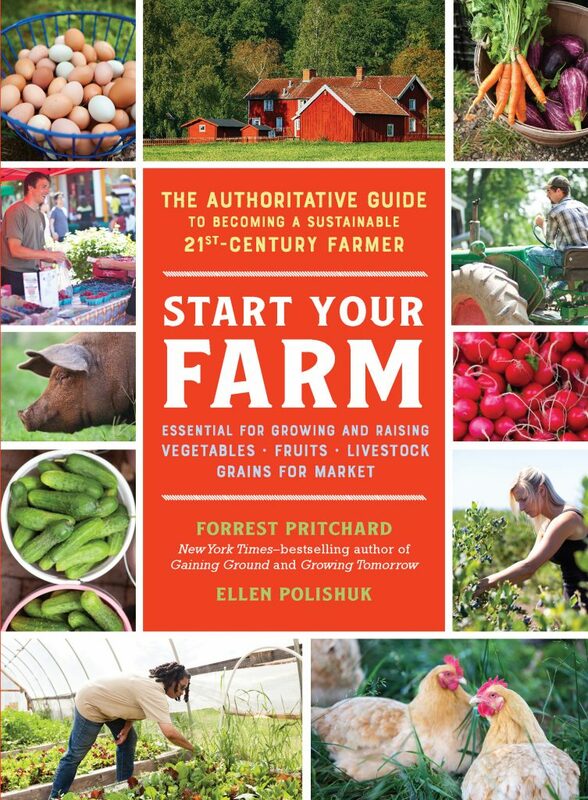 This is a book for new farmers, from two Virginia farmers. It is not an instruction manual on growing crops or raising livestock, nor on accounting and marketing. It is a book of suggestions on what aspiring sustainable farmers need to ponder, reflect on, take a cold hard look at before starting a farm of their own. It is a hybrid of insights, self-help wisdom, business savvy, and experience at the pointy end. The book addresses the huge problem of finding affordable land, and coming up with retirement plans that let you pass the farm down to the next generation, rather than selling it so you have a retirement fund. Their goal is to inspire as many new farmers as possible, so the focus is on small-scale manageable operations, which can provide success, and a very satisfying, joyful experience, along with the long hours of hard work. Forrest is a seventh-generation farmer, raised on a 2000 acre farm that has provided corn, soybeans, apples, cherries, cattle, pigs, chickens. When his turn at the helm came, he transitioned the farm to sustainable livestock. 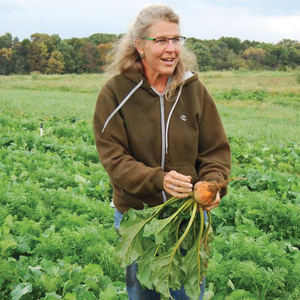 Ellen is a first-generation farmer, growing vegetables since she was a teenager. She was hired in the 1990’s to manage one arm of Potomac Vegetable Farms, and went on to own this much admired and successful operation. This book provides different sorts of wisdom from each author. Hence each writes the chapters they have most expertise in, with some cross-fertilization of ideas. Both are very engaging writers. As recently as 100 years ago, almost 40% of Americans were full-time farmers. Today it is less than 2%. The responsibility for feeding our society rests on the independent, altruistic farmers who devote their efforts to produce food for everyone else. Forrest calls them volunteers. The authors caution that farming is for pragmatists, not perfectionists. Getting something 100% right in farming is not only rarely possible, it’s also rarely necessary. It’s better to be able to hoe beans quickly, with a few casualties, than to spend forever hoeing perfectly. There’s just too much to get done in a timely way. Good enough is better than perfect. Time is as valuable as money. In the short-term, you may be able to use off-farm income to help you get your farm up and running. Long-term (or sooner!) you’ll need to make enough for the farm to pay for all work done, and also make a profit (for retirement, kids’ college fund, a new tractor, another hoophouse). Each chapter ends with a few searching questions, to help you get the most out of what you just read. Questions to help you assess your strengths and weaknesses, explore things you were ignoring and generally prepare yourself for the exciting huge task ahead. They also caution against biting off more than you can chew initially. Don’t grow every vegetable and flower and raise every possible kind of livestock! Start simpler and build up to your ideal level of diversity. Don’t assume you should start by buying land. Life will be easier if you find land to farm that you don’t have to buy. The key is access to land, not acquisition, and the authors provide many models of how this can come about. There is a whole generation of farmers who want to retire, help a new generation of farmers start farming and see their land continue in agriculture. Debt-financed land purchasing is their least-recommended route. If that’s what you have to do, bypass conventional banks, go to the Farm Services Agency, which offers farm-friendly financing options, or look around for companies specializing in loans to farmers. 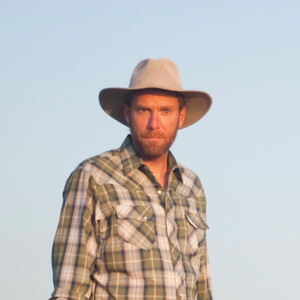 Forrest explains the blind-spot many of us have about compensating for the value of the land. The land, as an investment, needs to provide a financial return, in the same way that you’d expect from a pile of cash equal in value to the land. You wouldn’t leave the pile of cash under the mattress – you’d invest it so it would grow in value at least as much as annual inflation. And yet it can be hard to see that if we don’t get a similar return from a piece of land, it becomes an asset that steadily loses value that we are subsidizing with our time. Forrest explains how the nation came to expect cheap food, and the consequences this has for farmers, and farming land. He explains how, from the sixteenth century onwards, land in North America was given free (we know who they took it from) to those favored by the people in power; to soldiers returning from the Revolutionary War; to those willing to farm in Florida (by Spain), or California (by Mexico); and then under the 1862 Homestead Act 270 million acres were given to 1.6 million farmers, a practice that continued as late as 1986 in Alaska. This lead generation after generation to not account for the value of the land properly. And so, cheap lettuce, cheap hamburgers, and a big challenge for farmers today to make a living and buy land. Ellen writes an important introduction to soil physical composition, chemistry, biology, and explains replacing nutrients removed in crops. When visiting potential farms, give the soil good attention. This topic comes up again when Forrest writes about the importance of “putting things back” whether that’s tools or soil nutrients. Ideas of complete independence and creative freedom as farmers can be a figment of our imaginations. We get a clear explanation of the Chicago Mercantile Exchange and how this is going to have effects (which we have no control over) on our costs and our income. Your hard-striven-for crop might end up losing in the competition with an imported bumper crop being sold at rock-bottom prices. I’m also thinking about this year’s US soybean farmers whose markets in China have been strongly damaged by tariffs. For maximum independence from uncontrollable factors, look for sustainable markets that are less dependent on mainstream commodity system supplies or outlets. Identify a need, find the angle that is the best fit between your local customer and your strengths, foster your relationships. “Profit” is not a dirty word – profit allows the farm to grow and develop, pay decent wages, and provide security in case of disaster, and generally fund your life. The Tai Chi opportunity: make a profit while achieving the triple bottom line of a sustainable business: ecological stewardship, social justice, and economic viability. 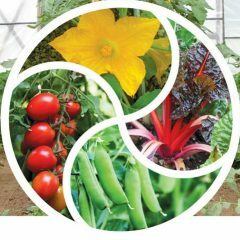 Veggie Compass is a free farm management tool for diversified fresh market vegetable growers. It uses a spreadsheet to help farmers compute the real costs of growing a hundred crops and several different marketing channels. This tool can help farmers find which crops are their most successful, and which are the losers. The choices become clearer. If you are selling eggs at $6 a dozen, but they cost you $7 to produce, you’d do better just handing out dollar bills and not keep the hens at all. Let the antiquated notion of cheap food flow right past you! No other business apologizes for supplying a high quality product at a fair price. Record-keeping (noticing and writing down what happens and how well it worked) enables you to make improvements, rather than random changes. Forrest introduces the Money Triangle. Financial stability depends on your potential to earn money, save money, and give money, in a balanced way. Savings are the catalyst for financial success. He suggests the 10% Plan. Make at least 10% net profit, save at least 10% of the profits (invested at 10% interest), give away 10% of what your investments make for you. It’s also a good rule for debt: never borrow more than 10% of your gross annual income, or pay more than 10% interest, preferably not more than 5%. Forrest points out the wisdom of accepting that you won’t be able to function as a superior producer, an excellent bookkeeper and an all-star salesperson for more than a couple of years – you will need to get some help. Perhaps temporarily hire a professional salesperson who seems a good match, to identify good sales channels for you. Ellen writes on Love, Work and Harmony. Grumpiness should be reserved for the time working alone! Build up relationship skills, you’ll need them with workers, friends and customers. To earn an annual income of $40,000 to $50,000, you would need to grow, harvest and market $125,000 worth of agricultural products. This is very difficult for one human alone. You need a workforce, and for that, you need good communication. Interns are students, not unpaid workers. The farmer has an obligation to educate, coach, encourage, and train any interns. This takes time away from production. Communication dramas can be the hardest part of farming. Learn early on how to speak your truth without criticism or blame and learn how to listen without taking offense. Keep time for the important people in your life, learn to leave the stresses outside your house, stick to daily finishing times. And don’t expect too much of yourself. “If you think you can farm and parent small children at the exact same time, you are doing neither activity well.” (Jean-Martin Fortier). If you have more than six people working for you, then keeping them, happy and productive is a full-time management job (Chris Blanchard). Don’t expect to cope with farming on your own in a place where you don’t know anybody – make a priority of finding folks to connect with. Forrest writes on the Beautiful Paradox of Failure. No two seasons are the same. “Sustainable farming is built around the expectation that things change, that adaptability and innovation remain paramount, and that failure, when it occurs, is a critical teaching tool.” Failure arrives in many forms, despite all efforts to prevent it. And yet, without failure, we are less likely to improve. Forrest also discusses failures of faith, periods of despondency (mostly during droughts). He invites us, in the end-of-chapter questions, to think back to our biggest failures, how they shaped us, what we learned, and whether it still feels like a failure, in hindsight. Mine was the year I left the sweet potatoes in the ground too late, hoping for more growth to make up for a late start. Fall turned wet and cold and the sweet potatoes rotted or got chilling injury. It was a big mess. I learned a lot more about sweet potatoes as a result. It does still feel like a failure, although one of understandable ignorance. No-one around me knew any better at that time. I think it lead to me doing more research and record-keeping, perhaps even helped shape my path as a writer. Ellen writes about how to appreciate the beauty around us, the daily moments of wonder, and our healthy lifestyle, although perhaps not the midnight struggles in the rain to set some emergency to rights. We do learn that it doesn’t matter if we have a headache, or feel lazy or sad, somethings just have to be done. Ellen calls this the priority of biology over attitude. We can call upon the grounding resources of clean air, vibrant plants, as remedies for our off days. We know producing food is a good and noble cause. If you read the final chapter first, read it again now!